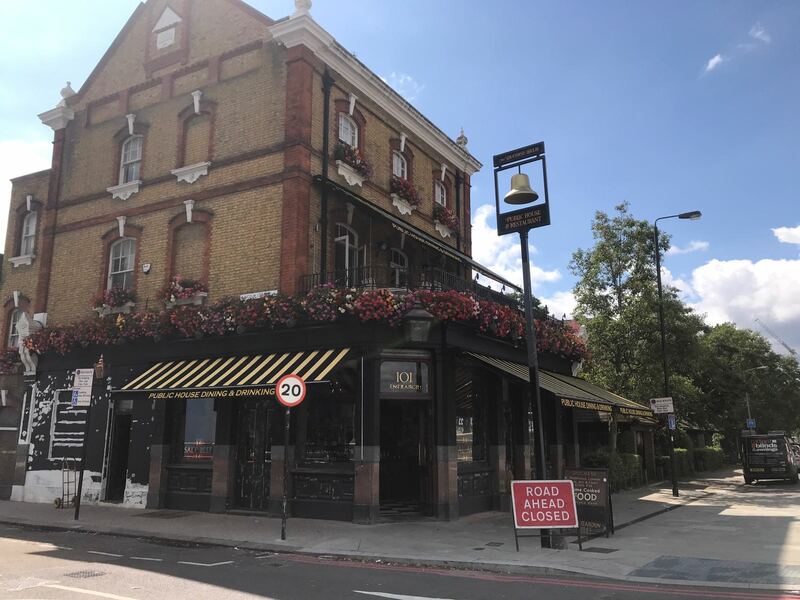 Another new Pub and dining rooms for this expanding group. 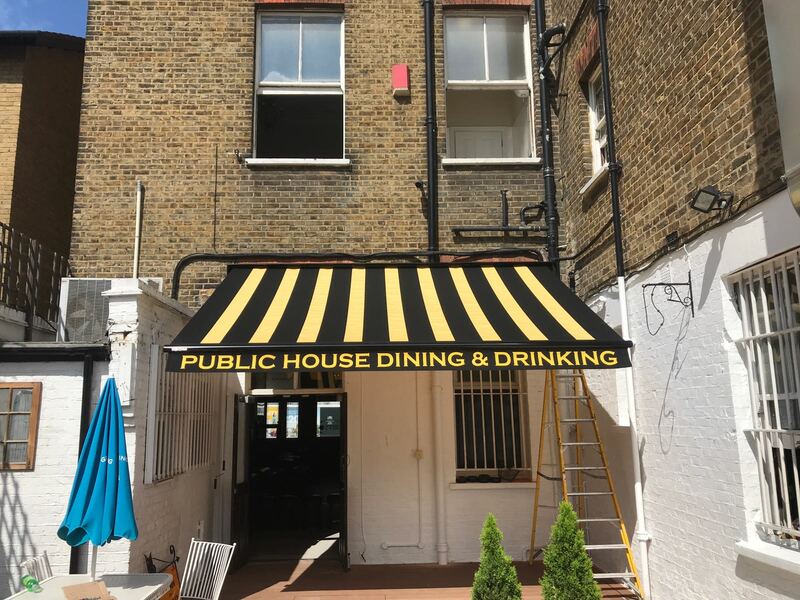 We installed 6 classic folding arm awnings with a bespoke made to measure striped acrylic fabric covers. 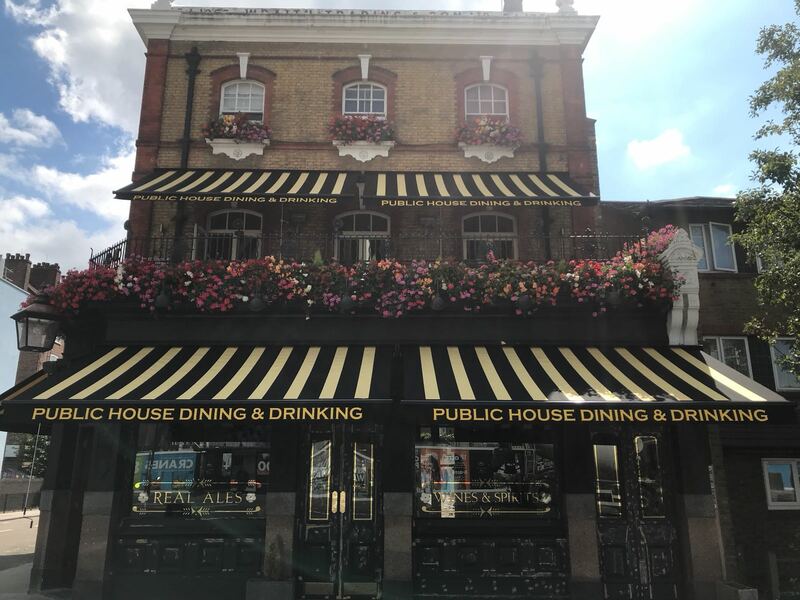 A very striking design to make the pub stand out. 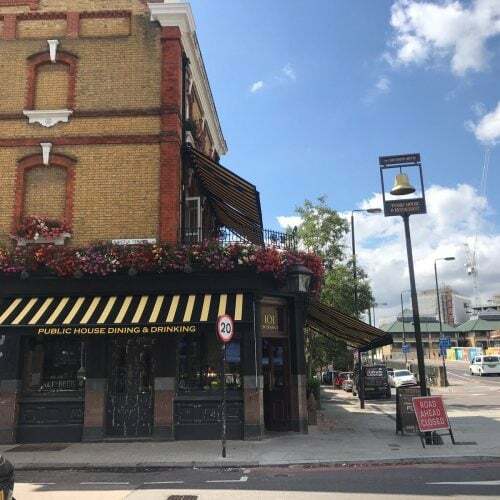 All the awnings came in a black frame work but there is a choice of colours to choose from. 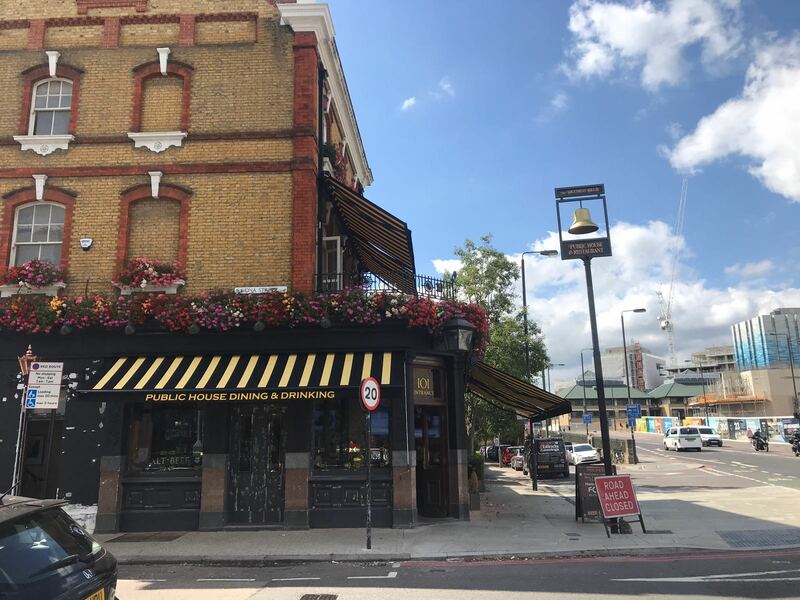 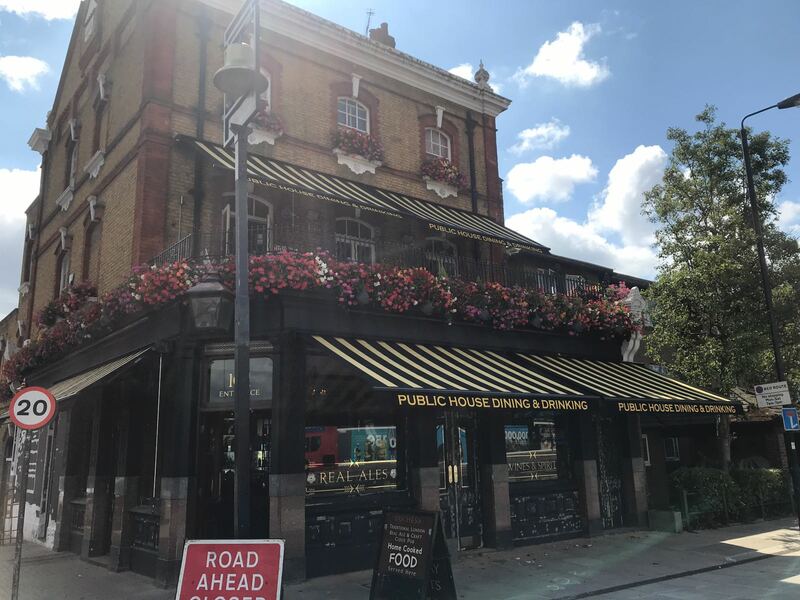 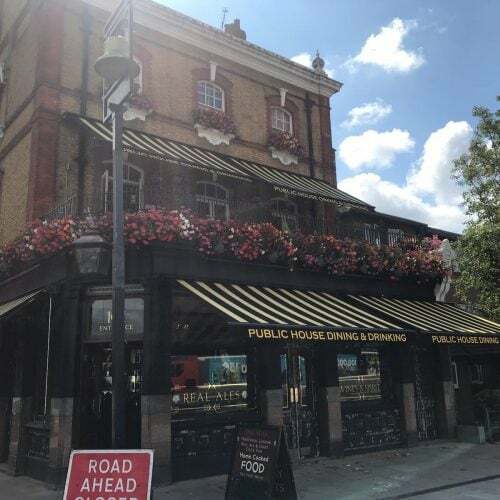 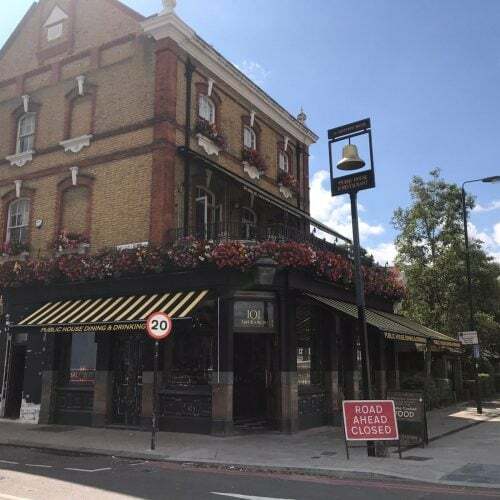 This pub is situated directly opposite the iconic Battersea Power Station and Battersea Dogs Home. 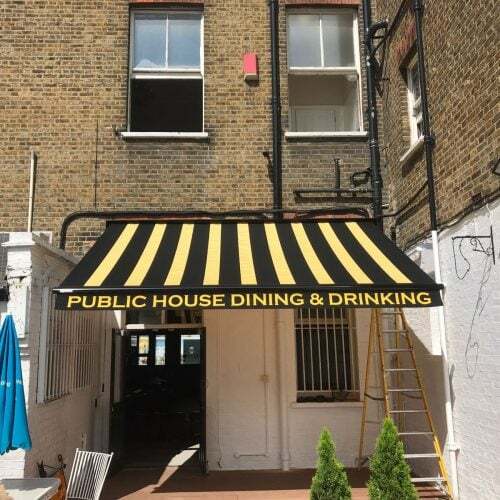 The classic folding arm awning comes in many different shapes and sizes. 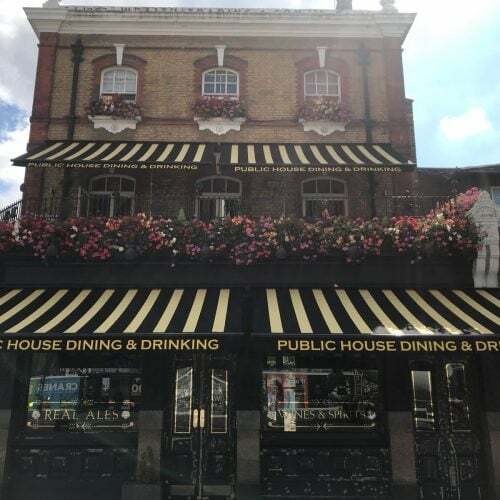 Get in touch today and book an appointment if your pub or restaurant needs shading & marketing solutions.